14 Feb. Published! All orders processed and dispatched. To avoid a delay in processing your order please be sure to select the appropriate button below. To pay by cheque, please print out and complete an order form (opens in a new window or tab) then post. 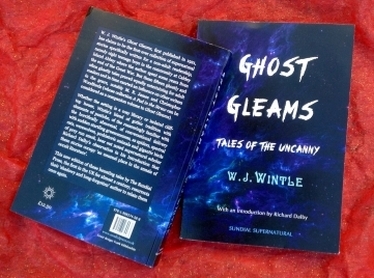 W. J. Wintle’s Ghost Gleams, first published in 1921, has claims to be the first-ever collection of supernatural stories specifically written for a non-adult readership, namely eight teenage boys in the community at Caldey Island Abbey where the author spent some years from the end of the Great War. 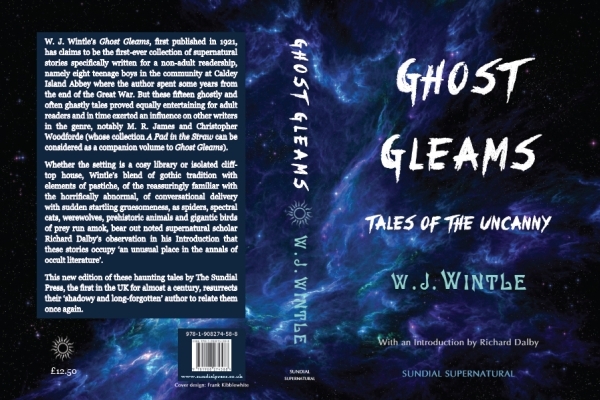 But these fifteen ghostly and often ghastly tales proved equally entertaining for adult readers and in time exerted an influence on other writers in the genre, notably M. R. James and Christopher Woodforde (whose collection A Pad in the Straw can be considered as a companion volume to Ghost Gleams). 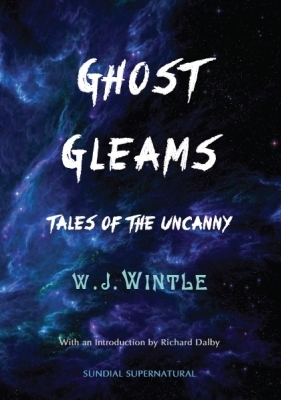 Whether the setting is a cosy library or isolated cliff-top house, Wintle’s blend of gothic tradition with elements of pastiche, of the reassuringly familiar with the horrifically abnormal, of conversational delivery with sudden startling gruesomeness, as spiders, spectral cats, werewolves, prehistoric animals and gigantic birds of prey run amok, bear out noted supernatural scholar Richard Dalby’s observation in his Introduction that these stories occupy ‘an unusual place in the annals of occult literature’. This new edition of these haunting tales by The Sundial Press, the first in the UK for almost a century, resurrects their ‘shadowy and long-forgotten’ author to relate them once again. William James Wintle (1861-1934) was a prolific journalist and author whose works embraced a vast range of topics. He was best-known for his writings in three main fields - natural history, royalty, and religious subjects. His Armenia and Its Sorrows (1896), a detailed account of the massacre of Armenian Christians in the Ottoman Empire, won immediate acclaim, while his short biographies of Florence Nightingale, Queen Victoria, and Prince Albert in the ‘Splendid Lives’ series remained popular for many years. He edited several collections of traditional songs, wrote a textbook on pond life, and also published a cookery book under a French pseudonym. 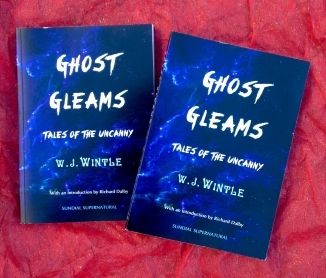 Towards the end of the First World War, Wintle became an Oblate at the Abbey on Caldey Island off South Wales, and it was while living there that he wrote the ‘Tales of the Uncanny’ collected in Ghost Gleams (1921). This was most likely his last published book, and it remains the major work for which this elusive author will be remembered.